Wouldst thou not rather be somebody for a day, rather than a nobody for a lifetime? Somewhere in a distant, faraway land of falling light, a cast of troubled youths wander amidst murderers and muppets, wrestling with the rages of love, loneliness, and loathing, and wondering if they’ll ever have what it takes to be…nobody. Natural Born Nobodies is a new piece of musical theatre in development. Based partly on fact and partly in fiction, the piece examines the double-edged sword of self-determination and identity, and misguided aspirations. 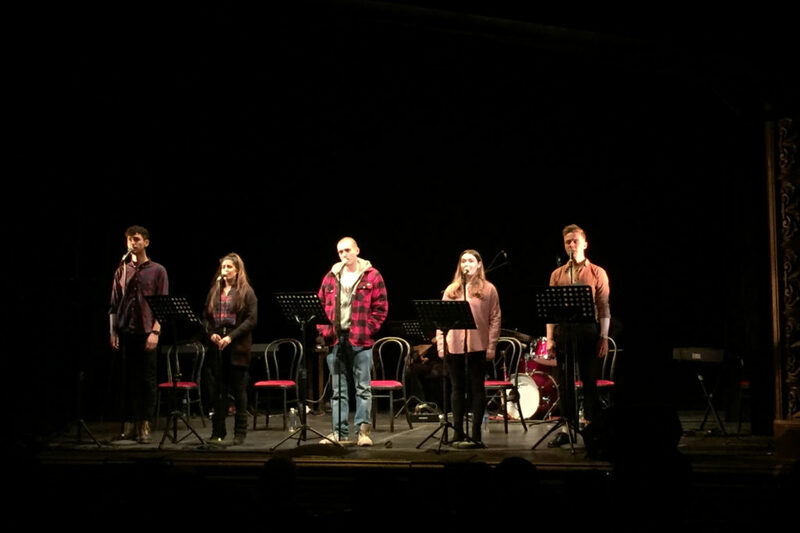 Excerpts of the piece were developed in a Musical Theatre Lab with the New Musical Development Collective (NMDC) at Theatre Royal Stratford East, and in collaboration with composer Stu Barter. NMDC was cofounded by Sevan Tavoukdjian, Adam Lenson, and Aaron Rogers. You can find out more about them here. Tagged musical theatre, natural born nobodies, nmdc, TRSE.